Ask fellow campers about "Kit Fox RV Park" and nearby attractions. Been here many times and is a good park. Good power and water pressure. Nice level spots paved roads. You are quite close to you neighbors here which can make it hard to get out of your spot. I have a 43' with tow and it was tight turns for me. I would stay again. 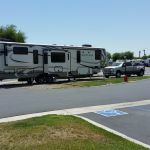 We camped at Kit Fox RV Park in a Motorhome. The site has excellent facilities. However, BEWARE if you arrive after hours on a Friday night. We only stayed 1 night on our way back home. We arrive after hours and we did not know if we would be gone before the office opened the next day. There was no information on the envelope indicating that the Passport America discount was now available 7 days a week. Therefore, we put $42 cash in the envelope provided and inserted it in the mailbox slot. Since we were a little late leaving the next day, we went to the office to ask for our receipt. Unfortunately, the envelope had disappeared overnight and we had to pay again. We camped at Kit Fox RV Park in a Travel Trailer. Yea it's close to a highway and a bit noisy but for the value I'd come back (for a short stay). Park is clean, staff is friendly and a great value for the money! We camped at Kit Fox RV Park in a Travel Trailer. Coffee (Starbucks) and a quite a few (Fast Food) restaurants within walking distance. Perfect Verizon and ATT cellular coverage. Easy access from the interstate and professional check in. Paved interior roads, level and long pull-thrus with convenient hookups. Cable TV was limited, adequate OTA channels, and no obstructions to satellites. Sites are close together, no table or grass. Verizon cell and Wi-Fi was strong, park Wi-Fi spotty. Significant noise from trucks due to the huge terminal in back of the park. OK for an overnight at the PA rate; wouldn't stay here at the full rate. We camped at Kit Fox RV Park in a Motorhome. The park has excellent location with easy freeway on/off. It is also located within walking distance to some nice restaurants and gas stations. The downsides are poor rest rooms and the overall appearance of the park has been going down hill over the last two years. The park is still a great spot for an overnight when headed up or down the I-5. 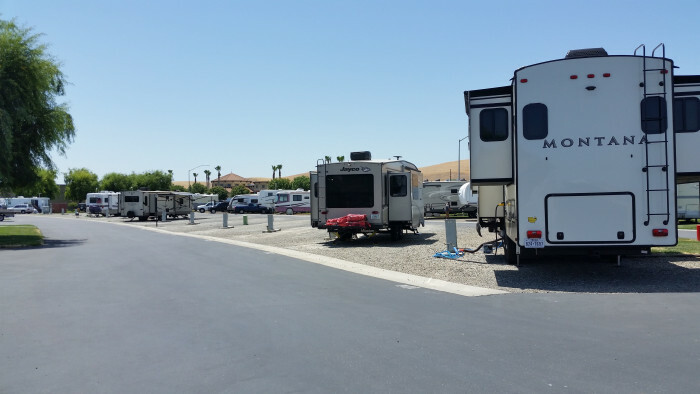 We camped at Kit Fox RV Park in a Motorhome. Stayed here many times over the years of our RV life. This stay has been different. The separation between gravel parking area and grass has blended together. The sprinklers have sprayed both sides of our RV and also our toad. The workers have stated that they know about the problem but management will not authorize the repairs. The park has become a haven for workers at the local distribution warehouses like Amazon. This is no longer a nice RV park but only a stop for a night park. Too bad..we really enjoyed the way it was better. We camped at Kit Fox RV Park in a Motorhome. Easy access from I-5 and just far enough from freeway to be quiet. Cable service limited (12) channels but with excellent reception. However you can get many over the air channels with your antenna. Within walking distance of two or three restaurants. Many fuel stations close by as well. Only 15 pull-thrus on gravel, but many back-ins with some grass. Sites are close together. NOTE: Check in time is 1:00 pm and strictly observed. The Manager is most friendly and helpful in trying accommodate your stay. Stayed 2 nights as we were attending an event in Ceres, CA, 20 miles away and no RV parks any closer. Would stay here again when traveling I-5. We camped at Kit Fox RV Park in a Travel Trailer. Wal-mart and Save-Mart in Patterson about 2 miles away. There is a Amazon distribution center about a mile away so there is some occasional truck noise off the road near the park. 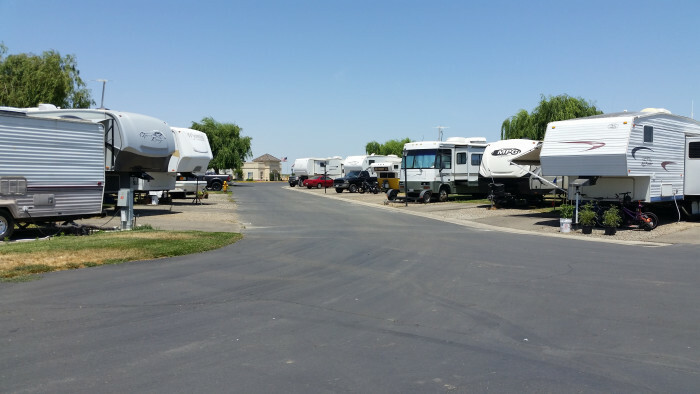 This RV park is conveniently located just off I-10 in Patterson. The campground is clean and the interior roads wide. While there is no problem in putting slides out, the sites are very narrow and lack a patio area or picnic table ... although there are two "community" picnic areas. Campground host is very helpful. It is perfect of an overnight stop. 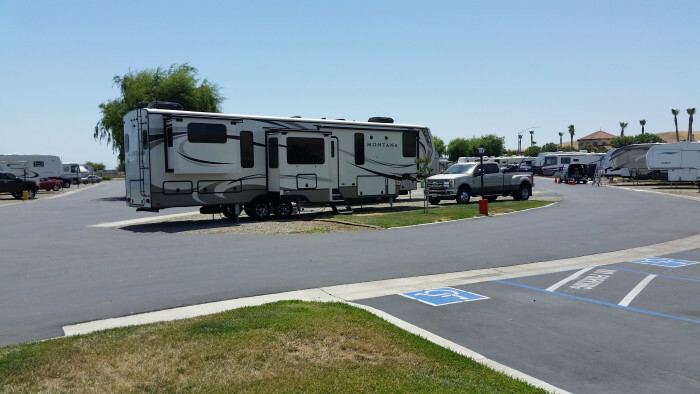 We camped at Kit Fox RV Park in a Motorhome. Within a couple of miles there are multiple restaurants, gas stations and a Walmart. Good stop while traveling I5. Gravel site and we had to level. Walking distance to fast food and couple restaurants. No pool or anything. Just a stop, use PA then would be well worth it. If we ever attempt I5 with trailer again would return. We camped at Kit Fox RV Park in a Travel Trailer. Walking to fast food. Not much else around. We stayed here for one night to break up our drive to Oregon. I only dealt with the front office over the phone and they were very helpful. There are plenty of fuel stops near the campground and places to eat. If you are looking to break up your drive this campground is perfect. 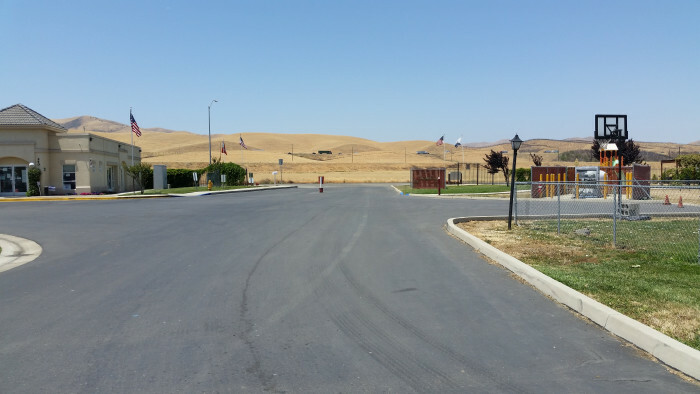 We camped at Kit Fox RV Park in a Motorhome. Large, basic no frills park with easy on/off access to I-5. There are 138 back-in sites (4 of which are trailer rentals) and 13 pull through sites (all sites are FHU). Most of the back-in sites appear to be full of long term/permanents. We stayed in site 101, closest to the office and the only pull through site with green space. All sites are large gravel over deteriorating concrete, so you may need a leveling block or two. Sites are VERY close together, especially the back-in sites. NO picnic table, grill or fire rings on any of the sites. There are some common use grassy areas which are well maintained that have picnic tables. Interior roads are nicely paved and easy to navigate. The park has laundry on site (4 washers/4 dryers), but it's inside the office so you can only wash when it's open (I believe from 9 a.m. to 6 p.m.). The office does not provide change and there is no change machine, so be prepared to bring your own quarters. There are 3 toilets and 4 showers per gender located in the office which were clean but are only available when the office is open. They also have private unisex showers/bathrooms (available 24/7) on either side of the park (I believe it's two per side), but they are well used and not as nice/clean as the ones in the office. The park also has a small playground, BBQ area, clubhouse, dog run and lots for rv storage. They sell propane on site. 12 cable channels included in price, however we were able to get 60+ channels with our antenna. Very good Verizon signal and utilities worked well. The park offers wifi but we didn't use it. There is an access gate from the park that leads to several restaurants and fast food places. While the park is far enough away from the noise from I-5, it is located on a road which leads to the Amazon fulfillment center, so you will hear noise from the semis going by. We would stay here again as it's convenient for an overnight stop. We camped at Kit Fox RV Park in a Fifth Wheel. Walmart Supercenter is less than two miles away. Patterson is a pretty town with lots of eateries and necessities. It's not a destination, but certainly a good place to grab a bite and buy groceries. We ate at Apricot Wood BBQ just across the street from the park and recommend it. The park accepts Passport America (with no restrictions! ), so the daily rate came to $24 including taxes and fees. This is our third stay here. Easy access from the freeway, about a day's drive from our home, level pull-through site with grass and picnic table. We will continue to stop here when we need to drive through the Central Valley. I wouldn't stop here if I were driving down US 99; but it's a perfect stopover for us between Northern and southern CA on Interstate 5 We camped at Kit Fox RV Park in a Travel Trailer. Just far enough from freeway to be quiet. Cable service limited (12) channels but with excellent reception. Within walking distance of two or three restaurants. Only stayed one night and left early but would stay here again when in the area. 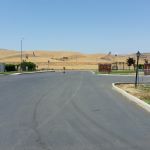 We camped at Kit Fox RV Park in a Motorhome. The park is clean with both back-in's and pull thru's. The sates are gravel with paved interior roads. The pull thru's are limited and but long enough to stay hooked. the sites are close together but great for an overnight. We camped at Kit Fox RV Park in a Fifth Wheel. Kit Fox was an oasis in the desert, though it's not in the desert. I actually thought it was newer than it is (actually about 10 years old). Everything was well-maintained and the staff was eager to please. Within easy walking distance of several eateries, including a KFC, a pizza place and a sit-down restaurant. And a walk-in gate at the opposite end from the campground entry made it very convenient to try out the local food choices. In addition, there is local bus service into the town of Patterson, including a Wal-Mart. Although we missed our first return connection, we got to enjoy a 45-minute ride around the neighboring communities, thanks to a very gracious bus driver. We stayed at Kit Fox on a round-trip to Oregon. On the return trip, we decided to just "hang out" and enjoy a second night. Definitely a place to "hang out." 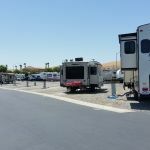 We camped at Kit Fox RV Park in a Motorhome. Propane sales on-site and competitive with the nearby Flying J. My husband walked to the A & W/KFC combined store. There were several other restaurants available. But best of all was an ad in their flyer, showing that the Truck Stop at Exit 441 off the I-5 had the cheapest diesel prices in Northern California. We filled there, and noticed that all of the other stations for 360 miles were at least 23 cents a gallon higher. You can walk to the Starbucks, as well as Denney's and about 4 other restaurants. Can walk to fast food and restaurants from the rv park. Flying J gas close by. Easy access to I-5. There is lots of eating places close enough to walk to. Across the street is a small mall with gas, several Mexican restaurants. A few restaurants within walking distance. Not much to do in the immediate area. Try the barbq place at the interchange near I-5. Pretty good. Lots of fast food and restaurants within walking distance. Patterson close by. San Fransisco 1 hour 20 minutes away. There is an Amazon Fulfillment Center within view of the RV park. What is interesting is the size of the building and the number of trucks coming and going. The main road is closed but well signed as they have a different entry. Patterson nearby was great for groceries and central for touring to the coast. Close to several restaurants and places to fuel up before hitting the road. Restaurants, bar, gas etc. nearby. Gas stations just down the street. Some shopping and restaurants are within easy walking distance. 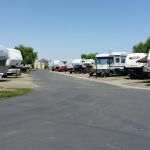 Are you affiliated with Kit Fox RV Park ?